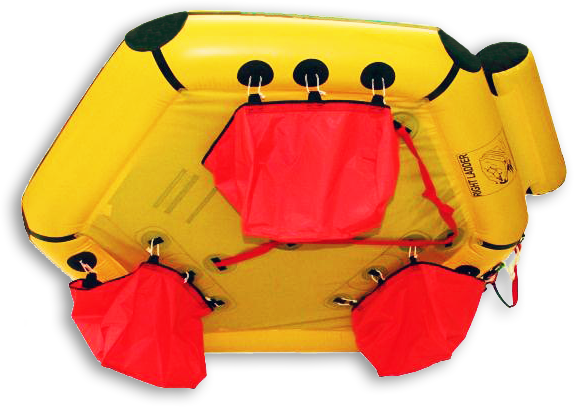 Here is an affordable, lightweight, complete aviation life raft for use by aircraft not required to carry a life raft, for the peace of mind of having a life raft aboard. 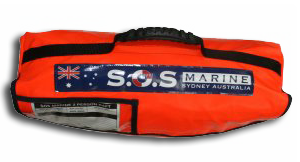 It is lightweight, packed in compact valise, and manufactured by SOS Marine. 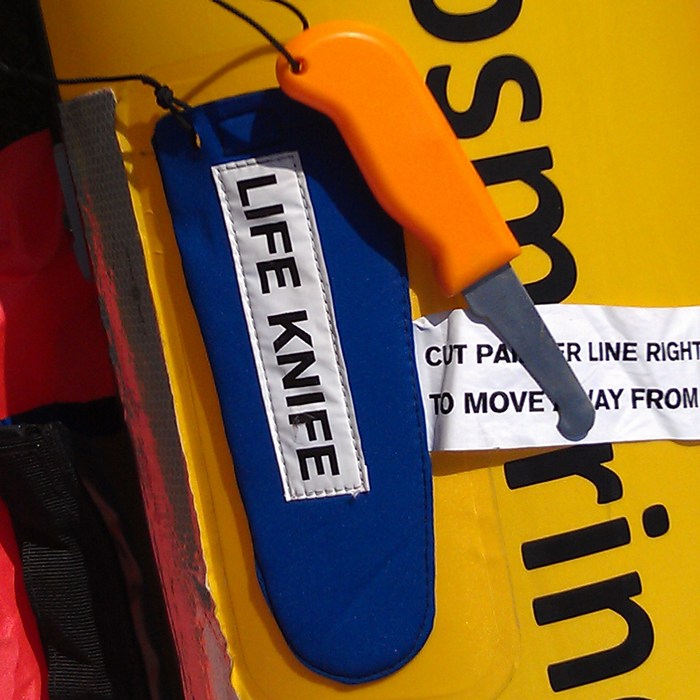 This life raft is not manufactured to TSO and has no FAA approval. It is rated for two persons. See below for description and specifications. 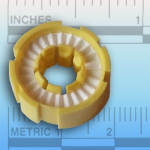 Please contact us for quantity pricing, for purchase of four or more units. 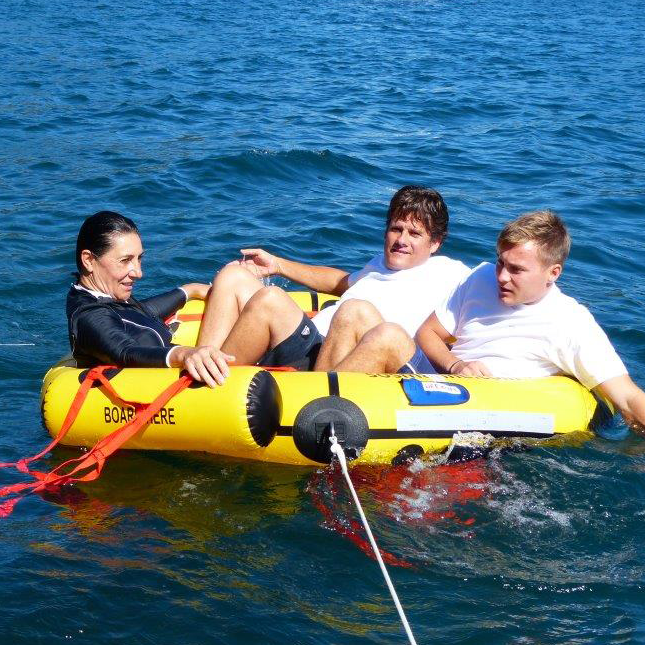 How does this compare to the Brand X coastal life raft for two? 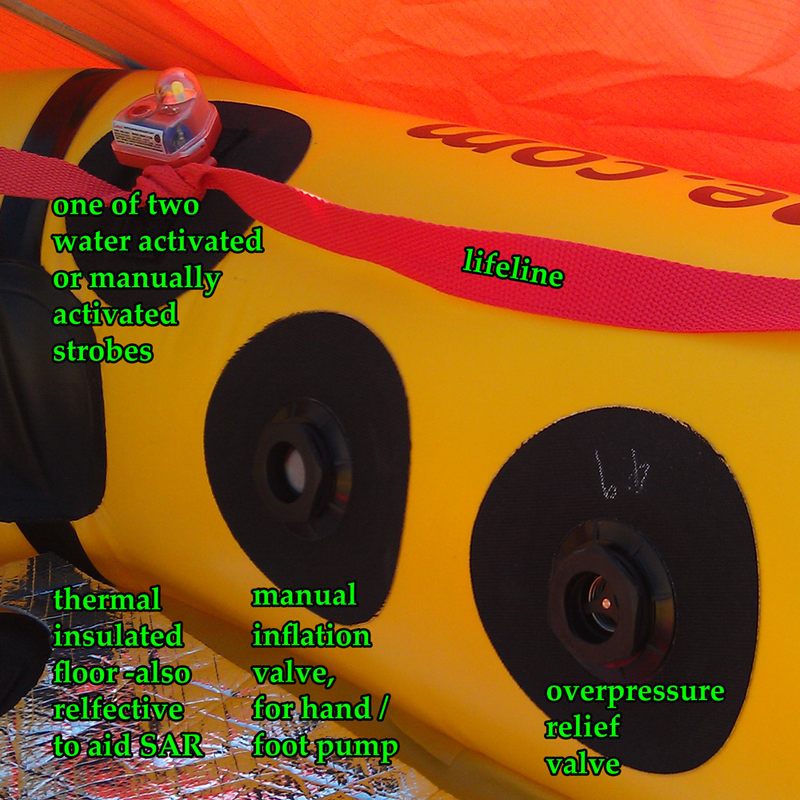 Read the feature–by–feature coastal life raft comparison. 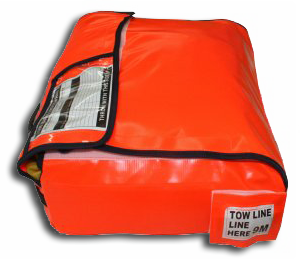 When your Cessna 152 light aircraft or Robinson R22 helicopter has crashed and is sinking beneath you, climb up into this life raft. 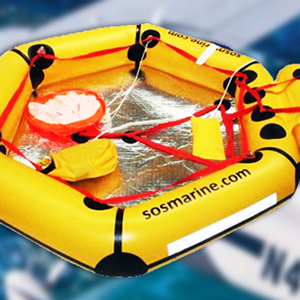 This aviation life raft in a small valise from SOS Marine has what you’ll need at an affordable price. 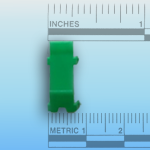 It weighs just 16 pounds (18 pounds shipping weight). 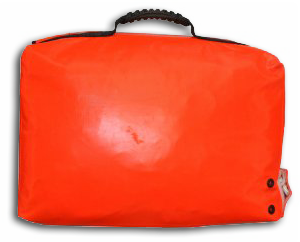 Though it’s lightweight, it is durable, and it could be just the right life raft for you. 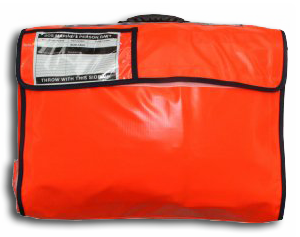 Its three underwater pockets fill with 44 gallons (165 liters) of water providing about 300 pounds of ballast to keep the raft upright in waves and wind. 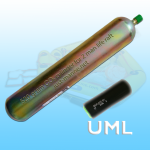 It offers a thermal insulated floor not found on other life rafts of its class. 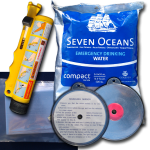 It comes with 117 square inches of SOLAS light reflective tape and two SOLAS lights. 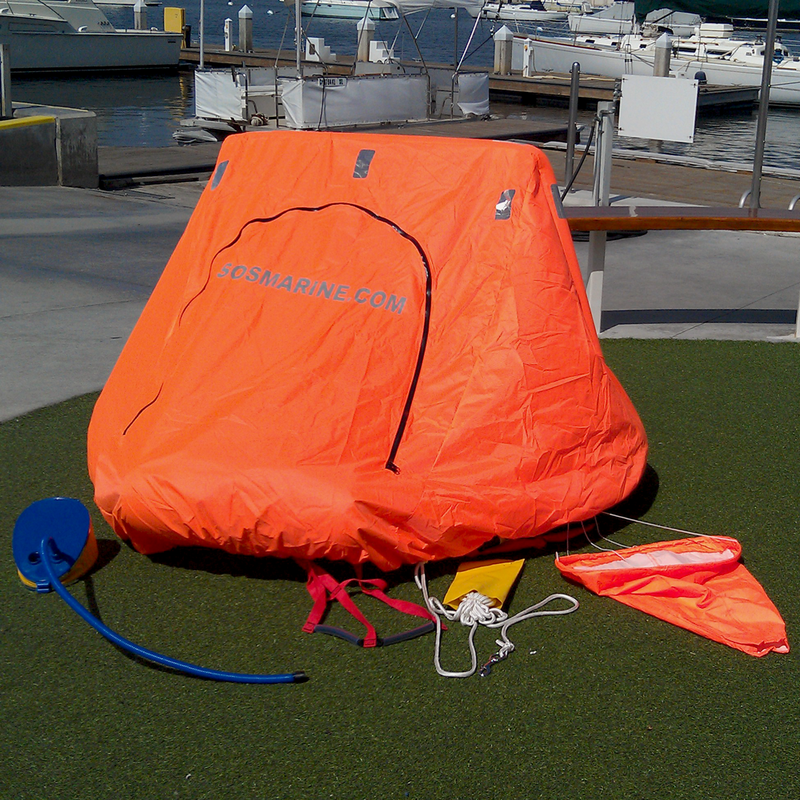 Click to a complete description of this life raft. 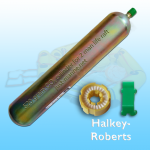 This product comes complete with necessary CO2 cylinder which is easily replaceable after use. 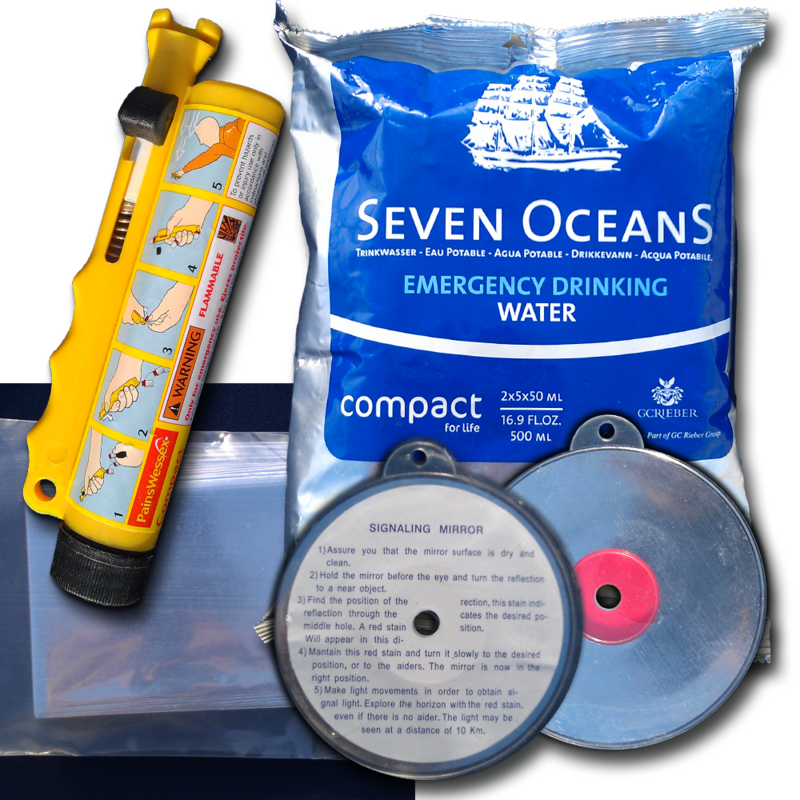 A canopy is available, as is a recharge kit and a kit of extra survival aids. 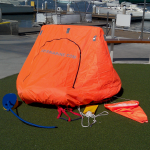 This aviation life raft is substantially the same as our 2 man coastal marine life raft, except with respect to how automatic inflation is implemented. 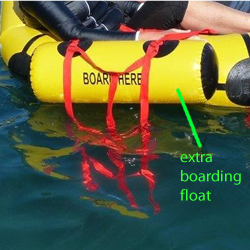 On this aviation model, automatic deployment of the life raft inside the plane would be counter-productive, should the plane crash and commence sinking. 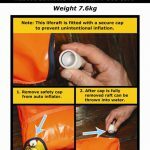 Therefore, the aviation model will not inflate until the waterproof white safety cap is removed from the automatic inflation mechanism. 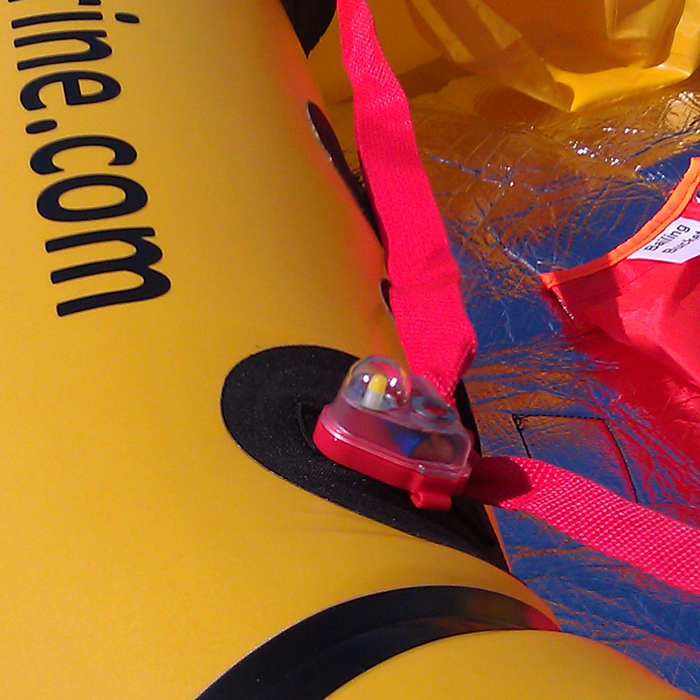 Leave the safety cap in place on the life raft until you have gotten the raft outside of your sinking aircraft. 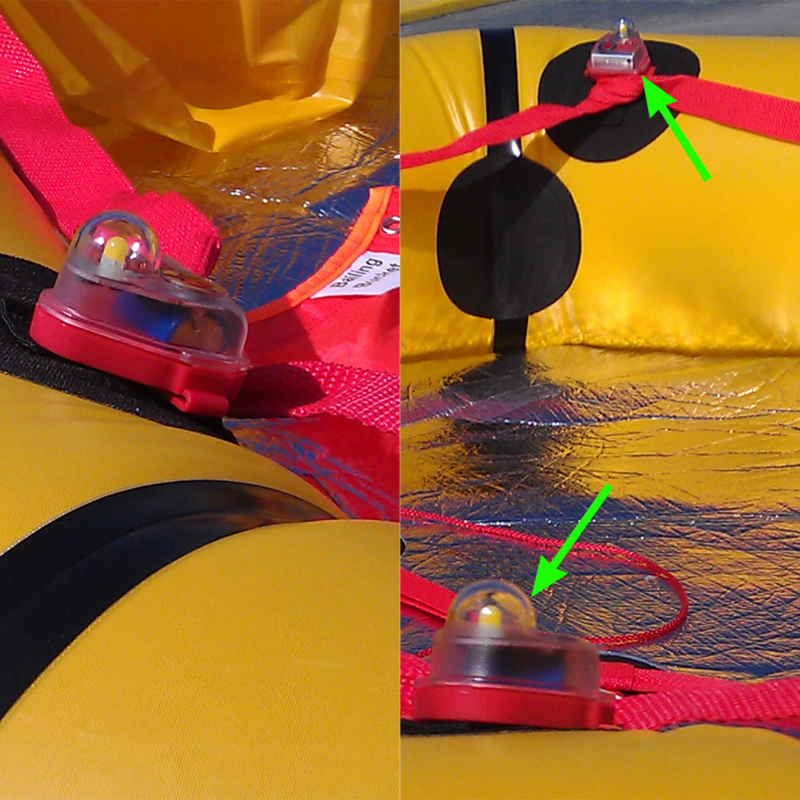 The white safety cap is intended to prevent inflation of the raft inside your plane's fuselage. 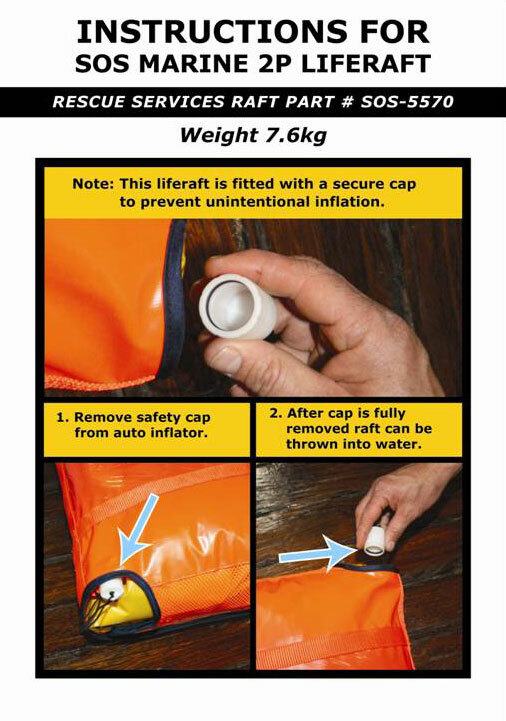 Once outside, remove the white safety cap to enable inflation to proceed. Not manufactured to TSO and has no FAA rating or certification.